Sometimes on the road of life, you encounter a convergence of the Culinary Force. A food so amazing it transcends its ingredients. 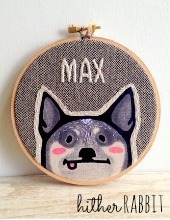 Each part comes together in perfect harmony to create something new, unexpected, and beautiful. This is not one of those times. 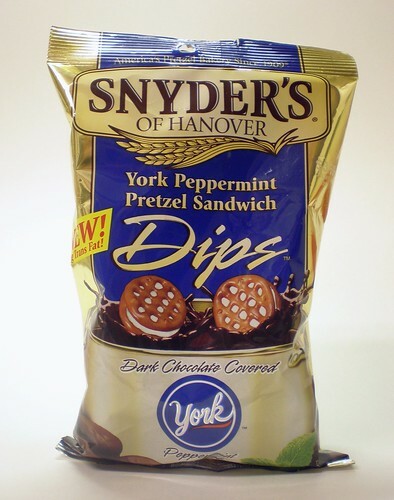 Snyder’s of Hanover’s York Peppermint Pretzel Sandwich Dips (whew) taste exactly like you think they would. 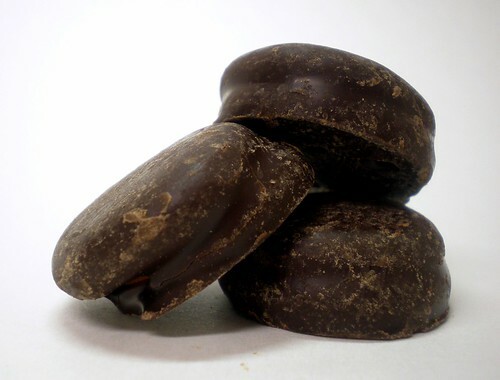 Imagine putting a pretzel in your mouth, now a York Peppermint Patty, now chew. Yep, that’s pretty much it. No complexity here. No mystical revelations. No snack awakening. Just two foodstuffs that are pretty good on their own, mashed together to make something that’s still pretty good. Thery’re sort of like that Julia Roberts movie. Or, really, all Julia Roberts movies. She’s fine on her own. Whatever mumbly British actor they put opposite her is ok too. And together, the movie rolls on. It’s watchable. But there’s no chemistry. You’d recommend the flick to your mom. 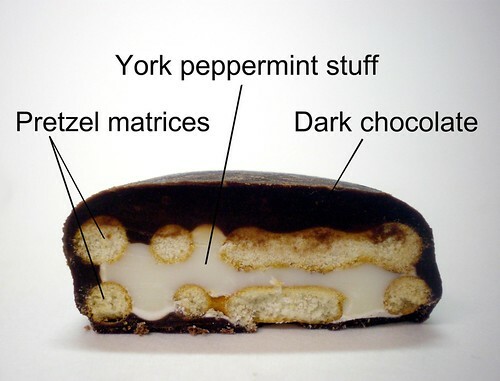 That’s what Snyder’s of Hanover’s York Peppermint Pretzel Sandwich Dips are. They are a Julia Roberts movie you’d recommend to your mom. Honestly, I didn’t think I was going to like these. I was already writing the negative review in my head before I even opened the bag. These pretzel sandwiches don’t look that appealing, what with their chalky, circular-ish exteriors. But they really are ok. I don’t think I’d buy them again but I’ll finish out the bag and it won’t be wholly unenjoyable. Give these a try, you may like them. If you don’t, take them to the office. People will come by and enjoy them. You won’t be the office hero, but people will stop lowering their gaze as they speed by your cubicle. And really, that’s all you can ask for. I wonder if these would be better with peanut butter instead of peppermint. are you kidding me? I freaking LOVED these things – i’m on my 5th bag in 2 weeks….and addicted – best snack i’ve found in a long time! The Snyders page says they are no longer available this season?!?! Holy cow! We need to rise up and liberate chocolate and peppermint from the holiday season. York Peppermint Chocolate Pretzel Sandwich. You are free to use any methods necessary, but I want them now! I am ADDICTED TO THESE!!!!! Suddenly they have disappeared, I’ve gone to seven stores and not find them, bummer……. Yep, seasonal item apparently. People are not happy. Thank you for your recent e-mail. We are pleased to hear that you enjoy our chocolate covered pretzels. The milk chocolate, dark chocolate, white fudge dips and the chocolate covered peanut butter pretzels sandwiches are seasonal items. We offer them through the months of November thru Feb. Shipping chocolate over the spring and summer months can cause an unappetizing white coating to form on the chocolate and there is always the possibility of melting. Thank you for your interest in our product it will be available in stores again next season. I have also submitted your suggestion to have these year round to our Sales & Marketing staff to review and see ifd this is something we can do in the future. Yes we want them year round, we have searched all of Pasco County Fl and no luck. 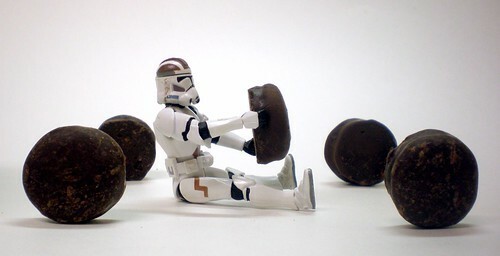 He is in withdrawal please get them back on the shelves!!!!!!!!! I loved them too and yes! They’re back. I bought 2 bags from Target (TN) for $2.49 a piece. They’re good but I doubt I’ll buy they at the regular price of $ 3.99 though. I have never had white chocolate and peanut butter together! I’m on it. Haha! I’ll have to get some. THese are my absoloute favorite. Peppermint patties and pretzels are my two favorite snacks. SO its the best of both worlds for me. I was introducted to these at my Step mothers house in California (I live in Pennsylvania). I could not find them at home in the longest time and finally for 3 bucks a very small bag found them at a local convenient, but way cheaper in Cali so Mom shipped me like 8 bags at Christmas TIme..They are the BEST frozen right out of the freezer.